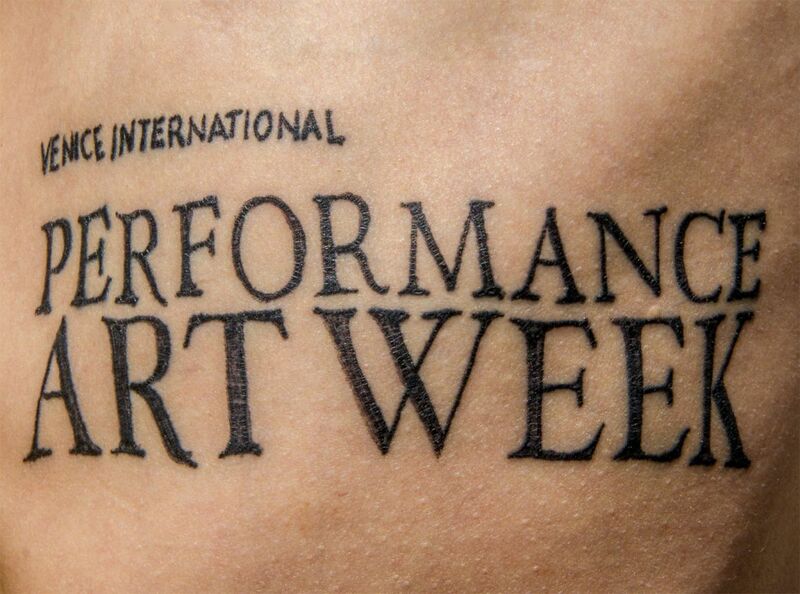 An ever-growing collection of free downloads and links to performance art related research material, provided by ART WEEK artist and collaborators. Art is a complex product without a single and final interpretation. Artists have the right of not having their oeuvre reduced or simplified as a schematic interpretation which may be manipulated by those in power to provoke and, consequently, result in public offenses directed to the artists, so as to invalidate their proposals. The United Nations has designated December 18th, International Migrants Day. In cities throughout the world, artist Tania Bruguera and those involved with her five-year project Immigrant Movement International (IM International) presented the Migrant Manifesto. Immigrant Movement International mobilized artists and cultural producers across the world to develop projects related to the issues and experience of migration. Through artistic actions, IM International wanted to help highlight the fact that human migration is an increasingly central phenomena of contemporary global existence, and to assert and promote the fundamental human rights, freedoms, and dignity of migrants and their families. The December 18th Call for Actions was supported by the United Nations. Lucrezia De Domizio Durini Who is Joseph Beuys? Joseph Beuys hoped that all men would be able to reach equality in freedom and rights. He fought to promote market economy (an 'Organic economic system'), a factual change in the concept of money and a system based on the right to work. He was interested in the protection of disappearing crops and produce as well as biological farming. He set up a partnership for the support of third-world countries. To this regard, I would like to point out the prophetic quality and importance of Joseph Beuys' thought. He was a true shaman-artist, the precursor of theories focused on social needs and present-day issues. He actually anticipated all the economical, environmental, humanitarian, political and cultural issues affecting mankind today. By breaking through the sensitive membranes of possessiveness, infighting, ownership, and all that unites and separates us, the space into which we perform metaphorically transmutes into an elastic diaphragm. It is like moving through a blurred hazy path, sharing the same shield, investigating a labyrinth where our cultural identity is not reflected in the fixity of the aesthetic canon, but rather in the metamorphosis, the process of making, and a continuous exchange that tells of transformation and spiritual-psychic growth. Marilyn Arsem's 2011 manifesto on performance art. La Pocha is, above all, a utopian idea. Our ideal setting is a marker in the political distance, a philosophical direction, and a path we often lose. But sometimes, our frail egos and financial hardships occasionally cause us to fall into personal voids and temporarily forget our goals in the midst of the coexistence of the so called real world. One Pocha responsibility is to inspire each other to recapture our strength and clarity. Marcel Sparmann A Curve and A Line – Koanic Thinking on Performance Art Transcript of the lecture held at the ART WEEK Co-Creation Live Factory - Prologue 1, 2017. So, maybe it doesn't matter if a Performance Action might be koānic all together or not. What matters for our deliberations, is the fact that both, a Zen koān and a work of art can make people plunge into an abyss: abandon duality, certainties, knowledge and habits, language and the whole culture. Both could make us transgress the boundaries of intellect, release us from the confusion of words and cognitive schemata, linking together separated worlds, exposing the fictitiousness of ego and ownership. As it was for the alchemists engaging in their philosophical quest, a performance opera is a vision and the result of a creative process, there in the space where it takes place, the laboratory to play out new challenges. As unimaginable as this may seem, what this points to is Universal entanglement. Every building block of every atom of You, was once in quantum superposition with every building block of every atom of Me. And Every Atom of Everything Else. So in a very real sense, with no need for spiritual discourse, or philosophical treatise: I am You, and You are Me, and We are Here: Together. The ART WEEK artists give possible definitions of performance art. Leisa Shelton-Campbell, Julius Kaiser, Alexander Del Re, Kyrahm, Nicola Fornoni, Douglas Quin, Susanne Weins, Saso Vollmaier, Helen Cole. Lorne Covington, James McAllister, Preach R Sun, Jeannette Ehlers, Nathalie Anguezomo Mba Bikoro Ein Gespraech – A Conversation. ART WEEK writer Aisha Ryannon Pagnes in a poetic conversation with the artists and co-curators of the III Venice International Performance Art Week 2016. ART WEEK writer Francesca Romana Ciardi in conversation with the artists of the week-long series of live durational performances at the I Venice International Performance Art Week 2012. Cypriot artist Christina Georgiou in conversation with ART WEEK writer Elena Coco at the III Venice International Performance Art Week 2016. ART WEEK writer Karla Horvat Crnogaj interviews Australian artist Barbara Campbell in occasion of the II Venice International Performance Art Week 2014. Florencia Costa BEHIND THE CURTAINS | Who's Afraid of Architecture? Architect Florencia Costa gives ART WEEK writer Lissi Sanchez an insight into Palazzo Mora's refurbishing process for her 2014 Biennial of Architecture project, which framed the exhibition section of the II Venice International Performance Art Week 2014.